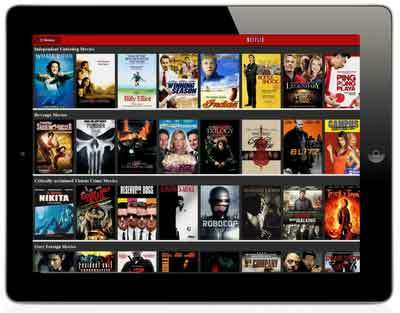 Netflix awarded a $1 million prize to a developer team in 2009 for an algorithm that increased the accuracy of the company’s recommendation engine by 10 percent. But today it doesn’t use the million-dollar code, and has no plans to implement it in the future, Netflix announced on its blog Friday. The post goes on to explain why: a combination of too much engineering effort for the results, and a shift from movie recommendations to the “next level” of personalization caused by the transition of the business from mailed DVDs to video streaming. Netflix notes that it does still use two algorithms from the team that won the first Progress Prize for an 8.43 percent improvement. It turns out that all the prize-winning work was perfect for DVD-by-mail where users add something to their queue and, best-case scenario, receive it the following day. But, now that instant streaming is taking over the parameters have changed. Viewers want something to watch immediately and like the option of flipping between several options. That is why the Netflix updated all of its interfaces to show rows of movies giving you many, many options. It’s a subtle shift from finding the one movie you will love two days from now, to showing all the possible movies you might want to watch right now. I guess that is the simplest way to put it, but if you want to know more the Netflix personalization science and engineering team, Xavier Amatriain and Justin Basilico, posted a lengthy and detailed, but interesting write-up, Beyond the 5 stars. According to research from the IHS Screen Digest, we may have finally reached the point when streaming video services have become ubiquitous enough to take over American households. The researcher forecasts that 3.4 billion movies will be legally consumed over streaming services this year, more than double the 1.4 billion that were viewed last year over the internet. The number will also beat out DVD and Blu-ray viewership, which is estimated to come in at 2.4 billion this year — a 7.7 percent drop from 2011. …the numbers appear to be inflated by unlimited streaming services like Netflix and Amazon Prime Instant Video. Such services accounted for 94 percent of all streaming viewership last year, according to the IHS, with only 1.3 percent coming from pay-per-use services like iTunes and others. The dominance of unlimited services explains why movie studios may not be so happy to see more and more of the market shift to streaming — the researchers say that customers paid an average of 51 cents per movie watched online compared to $4.72 for those purchased on physical media. 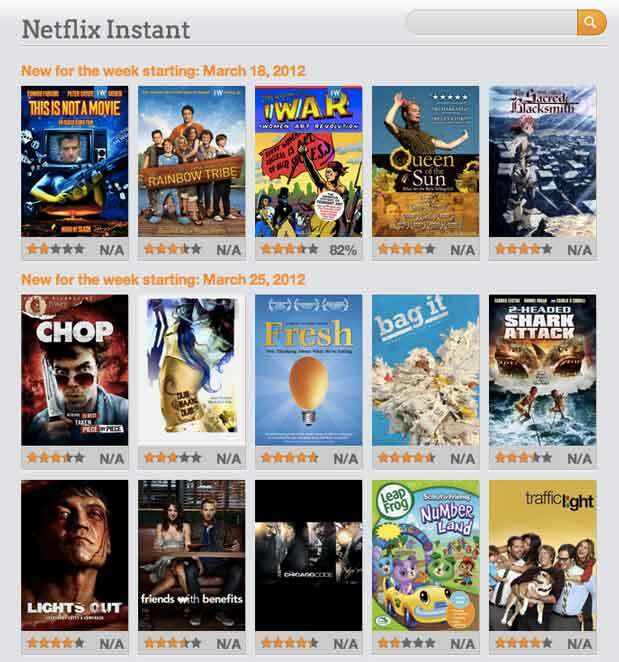 Instant Watcher is the perfect site for Netflix Instant users. You can quickly and easily find movies to watch and avoid the miserable search and click on Netflix’s own site. Within a few clicks you can figure out how everything works, including my favorites: highest rated movies of 2010-2011, highest rated movies on Rotten Tomatoes, and the simple most popular streamed movies. There is also the opportunity to view those movies expiring soon. Finally, a critical part of the browsing experience is the pop-up that appears when you roll over a movie title. This gives you a picture and a synopsis without having to click a link and leave your list. 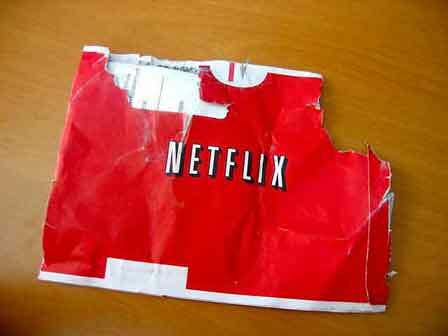 Once you visit and browse around you will never think about Netflix the same way again.